Not so long ago we compared the top models of desktop processors which overstepped 2 GHz. By today both companies has released new models which combine the old cores and a higher multiplier. 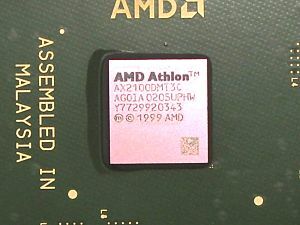 Note that the Athlon XP 2100+ is the last model on the Palomino core which wasn't planned before and which reserves the market niche for the Thoroughbred core. The Intel's processors are going to make a transition to the 533 MHz bus, that is why the sample we have today is the last of its kind. Well, first of all, we are going to compare the new model and the old one and then estimate scalability. The second aim is to get the latest versions of our tests and add new applications. At last, it's always interesting to find out an absolute leader in speed. So, to reach the first aim let's couple the Intel Pentium 4 2.4 GHz with a 2.2 GHz model and the AMD Athlon XP 2100+ with the Athlon XP 2000+ and test each pair on the same chipset. The third problem will be solved by choosing for the Intel processor three most interesting platforms and for the AMD just one which is the fastest almost everywhere - VIA KT333 + DDR333. In the test result section you will see what new tests are added. Although an ideal test is not achievable, today we are making the first step in this direction - CPU RightMark (CPU.RightMark.org). See the details at the respective site, and here we are giving the brief explanation of the benchmark. 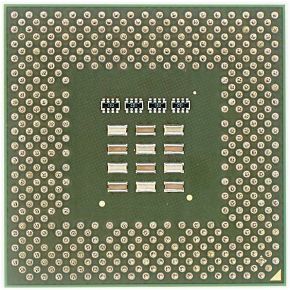 The CPU RightMark tests a processor and a memory subsystem, it implements computational modeling of physical processes and solves 3D problems. In short, one program unit solves a system of differential equations which models behavior of a system of many bodies in a real-time mode, another unit visualizes obtained solutions also in the real time mode. 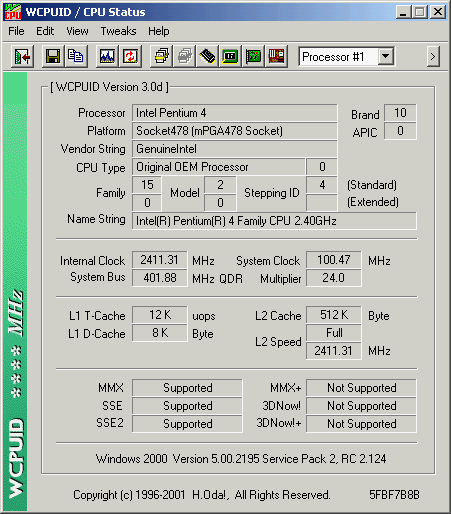 Each unit has several versions optimized for different systems of processor instructions. The benchmark is not entirely synthetic, it is based on techniques and means of the programming typical of 3D graphics applications. The unit of solving of the differential equations set is written using instructions of the x87 coprocessor and it has a version optimized for the SSE2 (with cycle vectoring: two iterations of a cycle are replaced with one, but all operations are implemented with two-element vectors). The speed of operation of this unit demonstrates a performance of the processor+memory system in calculations which use double-precision real numbers (typical of modern scientific tasks: geometrical, statistical, modeling). The Athlon XP works faster with the x87 FPU instructions but the SSE2 support helps the Pentium 4 beat the former. Note that this unit doesn't use SSE instructions, that is why we omitted the results of the test when the SSE set is enabled (they just coincide with the MMX/FPU and MMX/SSE2). The test is mostly CPU dependent - the memory influence is almost zero at the expense of the effective caching, effective operation of the unit with intensive calculations and a relatively small volume of data exchange. The rendering unit consists of two parts: a preliminary scene processing, and ray tracing and rendering. The former is written in C++ and compiled using the x87 coprocessor's instructions. The latter is written in Assembler and has several versions optimized for different instructions: FPU+GeneralMMX, FPU+EnhancedMMX and SSE+EnhancedMMX (such division into units is typical of realizations of rendering tasks in the real time mode). The overall speed of the rendering unit shows a performance level of the processor+memory system in geometrical calculations using real numbers of single precision (typical of 3D graphics programs optimized for SSE and Enhanced MMX). Again the Athlon XP has a higher speed of operation with x87 FPU instructions but the SSE helps the Pentium 4 again to win though this time these instructions are supported by the Athlon XP. This unit doesn't use SSE2 instructions that is why we again omit the results in the modes with the SSE2 enabled (they coincide with the respective MMX/FPU and SSE/FPU). The Pentium 4 + SiS 645 system has an excellent performance obtained thanks to the highest memory access speed at the small latency. 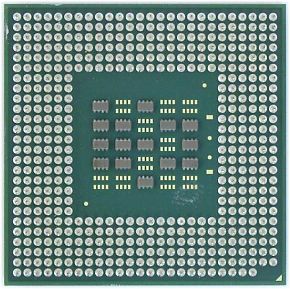 On the whole, the rendering process is followed by active data transfer which makes the contribution of the chipset and memory considerable. The Overall Performance = 1/(1/MathSolving + 1/Rendering), that is why the considerable gain of the Pentium 4 with the SSE2 in calculations of the physical model doesn't boost up the performance without the SSE in the rendering unit. But in calculations with the SSE there is a considerable growth thanks to the SSE2. (Note that the given characteristic is valid for certain chosen conditions, and the test allows assigning almost any ratio of time of calculation of a physical model and of rendering time (by changing the screen resolution or precision of calculations).) 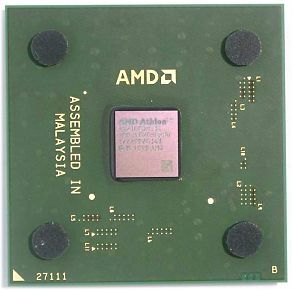 As the Athlon XP doesn't support the SSE2, its performance depends on a scene rendering speed where it yields to the Pentium 4 with the SSE, though it remains an absolute champion in a pure speed of processing of operations using only MMX and FPU. Note that the i845D looks better than the i850 among the Pentium 4 chipsets that we tested (probably because of greater latency of the latter), and the SiS 645 is the winner. We used the two Lame coder versions - 3.89 and the latest 3.91. The results coincide completely - well, they haven't said they improved a speed of code optimization. (By the way, the coder supports operation with all available extended multimedia sets of instructions and registers correctly.) 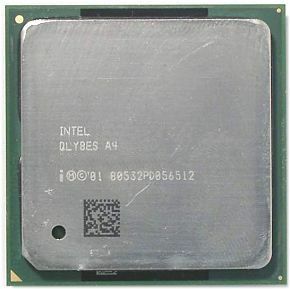 The test is mostly CPU dependent as it implements preliminary data caching effectively, but there are some problems of a low performance of the Pentium 4 on the i850 and SiS 645. I think it is the BIOS to blame: we know the ASUS i850 board quite well: there wasn't such a drop with the previous firmware version (see these tests). And the Athlon XP, even the 2000+, remains a leader. The DivX 5.0 was released not so long ago, but I'm sure it will become popular very soon. 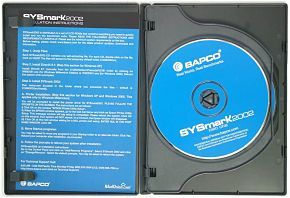 Apart from the DivX 5.0 Pro version we carried out similar tests using the DivX 4.12 version. The results show that the coding operation speeds up considerably by over a minute, regardless of a processor, a chipset or a memory type. Besides, the DivX 5.0 Pro forms a larger output video file. And as for the processors, there is nothing to add to their comparison in this test - we wrote about it in the last article. In the WinAce archiving, like in the MPEG4 encoding, the memory subsystem has a much more significant effect than the processor because of a large volume of data transferred. 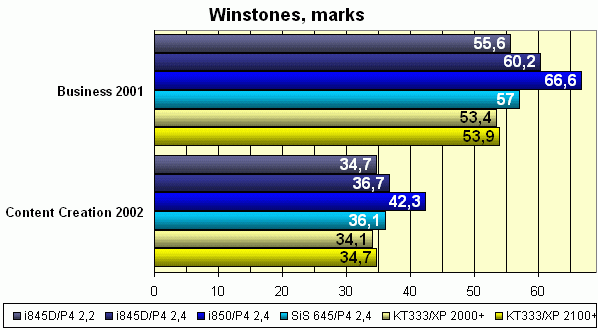 The Athlon XP performs better than its competitor. In the WinZip test the Pentium 4 on the SiS 645 falls behind while on the other platforms it does not. The Winstones results are logical, though I don't want to make any comments taking into account unclear falls and splashes in this test last times. So far we didn't believe the results of the Athlon XP in the SYSmark as the WME 7.0 included in the Internet Content Creation Benchmark couldn't define the SSE support of the Athlon XP. But now the SYSmark 2002 has this problem solved. As you can see, there are only updates. Officially the final score calculation algorithm hasn't changed, though I think that calculation of some proportionality factors was altered. It was interesting to compare results of the new and old packets in the office subtest: first off, they probably brought in some corrective factor which reduced both results. 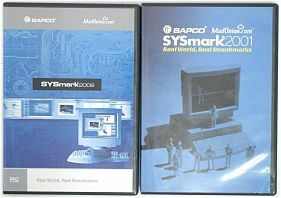 Besides, the Microsoft Office was remade and the Pentium 4 won in this test, though in the SYSmark 2001 both processor platforms went on a par. In the Content Creation test the AMD's processor improved its results as the SSE is now correctly identified in the Athlon XP in the MS WME 7.1, but the new packet now includes the Adobe Photoshop 6.0.1 optimized for the SSE2 support, that is why the Pentium 4 gets a greater gain. 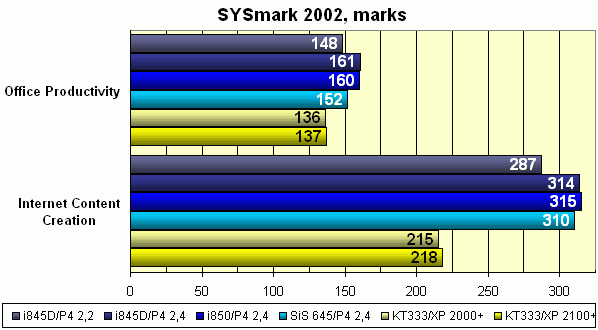 And now instead of the doubtful leadership in the SYSmark the Pentium 4 takes a strong lead. Look how good the performance of the Pentium systems grows as the CPU frequency is increasing, and how poorly it raises in the Athlon systems. The rendering in the 3DStudio MAX depends on the processor and doesn't on the memory. I wonder what the developers have done in the latest BIOS version for the ASUS P4T-E? 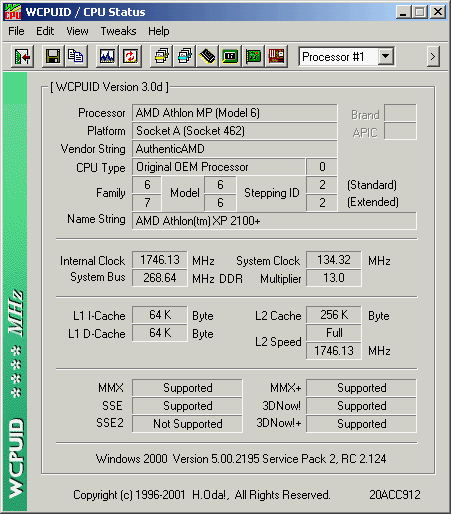 The diagram shows that the rendering in case of the Athlon XP speeds up proportionally to the CPU speed, but at the expense of a higher frequency the Pentium 4 2.4 GHz performs better, though the 2.2 MHz model goes on a par with the Athlon XP 2000+. 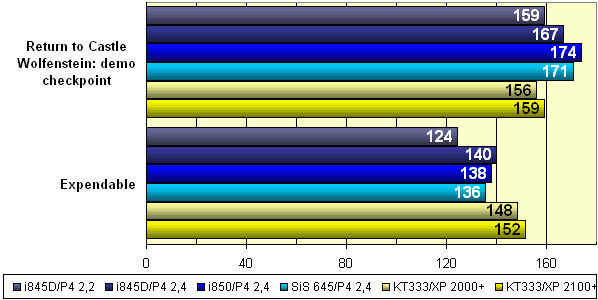 The results of the SPECviewperf are almost equal everywhere, with the Pentium 4 being a bit smarter; and only in the DX-06 the Athlon XP thrives. Note that the test speed doesn't depend on the CPU's one. The new processor of Intel is speedier than the old one, but it is still slower even than the Athlon XP 2000+. The Return to Castle Wolfenstein based on the Quake III engine didn't change the situation. The relative results of the two games are as two peas in a pot. Plus, DroneZ based on a different engine, also shows the same results. There is only Expendable left for the Athlon XP... Besides, all games are CPU dependent, which also plays into the Intel's hands. I can't say the Athlon XP falls behind its competitor by a great margin, but it still does. 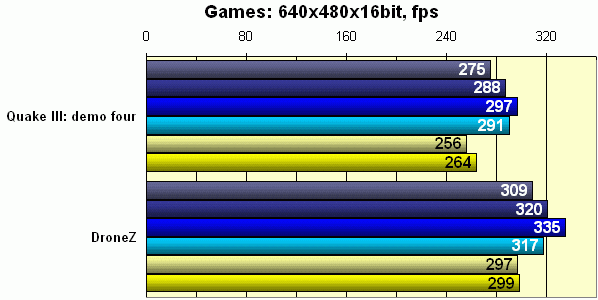 The performance gain caused by the frequency increase makes the absolute results of the Pentium 4 line better. Many applications now know about the SSE support in the Athlon XP, but it doesn't help much, and optimization for the SSE2 is not finished yet. However, the Palomino leaves its post in a good state, the situation is not catastrophic, and the urge towards the leadership with the new core will positively tell upon our purses.